Our crews have gone on the road across this whole country building our car wash environments. Through rain and snow (sometimes both) and working each day until they have completed each and every product for our clients. They do this because everyone at our organization really cares about your project. Perhaps you have had the pleasure of meeting and or even working with our guys. They have the sometimes thankless job of working in some of the worst weather conditions, through holidays and weekends. Their goal is to get you open as soon as possible and that is something that we don't lose sight of. We know that you are in this business to make a living. The quicker that you open your new facility is the quicker that you will put that money to work for yourself. 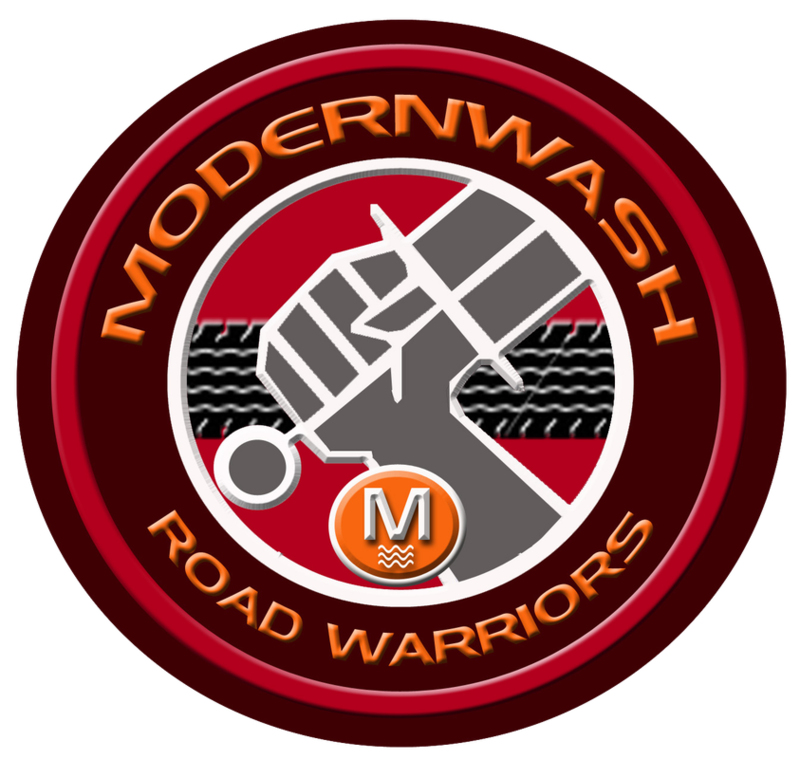 The crew's adherence to the client's best interest is just one of the reasons we call these guys our Modernwash Road Warriors. They proudly wear the emblem above and when you see it, you are looking at some of the hardest working guys in the industry. It is their pleasure to be part of your project and what makes each one of our clients a success! Shake their hand if you get a chance, (but you may want them to wipe it off first)!